Opening Night: April 8, 2016 at 7p.m. 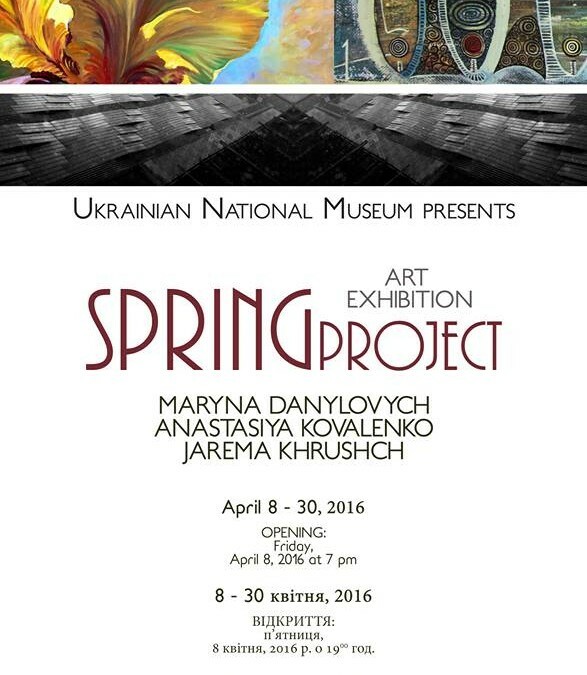 Three talented artists who emigrated from Ukraine to the United States, now residing in Chicago, bring a breath of fresh spring air to the Ukrainian National Museum. Maryna Danylovych works with oil on canvas painting still life and landscapes. Her inspirational painters are Monet, Renoir, and O’Keefe. Anastasiya Kovalenko professional photographer featuring images of Chicago. Jarema Khrushch presents an aquarium blend of mystical symbolism and reality. First human encounters with fish and cats.